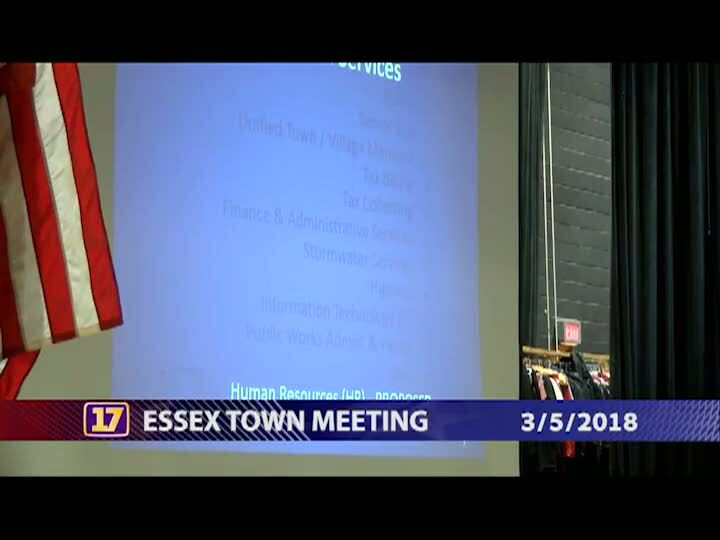 The Town Meeting will be held on Monday, March 5, 2018 at 7:30 p.m. in the Essex Community Educational Center. The free community dinner will be held at 6:30 p.m. in the cafeteria prior to Town Meeting. Free child care is available during Town Meeting. Voting by Australian ballot will be held Tuesday, March 6, 2018 at the Essex Community Educational Center and the Essex Middle School, 58 Founders Road from 7 a.m. until 7 p.m.